Set to launch early May, new brand focused on interior remodeling and restoration. Local Roofers take on new storm season! Our growth is and always has been centered around making people feel more secure in their homes. 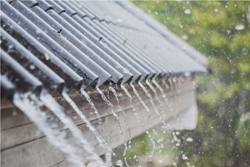 This month, bonded and trusted Aloha Construction, Inc looks forward to yet another roofing and siding season with many areas in Northern Illinois already having dealt with extremely dangerous hail, high winds, and storms. Since opening their doors, the local siding contractors and roofers have seen positive growth. Now proudly serving all of Illinois/Southern Wisconsin and with a new website meant to get homeowners expert help in less clicks, Aloha Construction, Inc. looks to fulfill their promise of building quality homes through the launch of an interior restoration service set to be announced early May. The plan is for this new brand to launch early May with an office near their Lake Zurich Headquarters. For more information and to stay up to date with the announcement, stay tuned to Aloha Construction’s website; specifically their local roofing news section. Aloha Construction, Inc. is a family-owned company of bonded and insured General Contractors providing services for all of Illinois and Southern Wisconsin. They proudly assist those in Lake, McHenry, Cook, and DuPage counties via their Lake Zurich location and in the McClean, Peoria, Washington, Tazewell, and Champaign Counties via their Bloomington office. With over 18,000 completed projects in Gurnee, Grayslake, Round Lake, Lake Villa, Mundelein, Lake Zurich,Round Lake Beach, Vernon Hills, Libertyville, Lindenhurst, Palatine, Wauconda, Hoffman Estates,Bloomington, Normal, Peoria, Washington, Pekin, Morton, and Mahomet; they’ve got the Midwest covered. To learn more about Aloha Construction, please visit their new website alohaconstructioninc.net. Call 847 540 7711 for an free expert roof inspection. Being roofers who finance, Aloha Construction, Inc. is fully licensed and insured and offers a 10 year craftsmanship warranty.